We hold immense expertise in making available high quality Primary Metal, Copper. Copper is one of the most important metals. Copper is reddish with a bright metallic lustre. It is malleable, ductile, and a good conductor of heat and electricity. 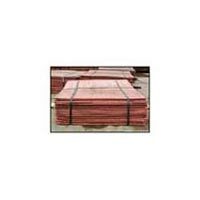 We make available Copper in many forms including bars, foil, sheet, granules, plates, powder, shot, turnings, wire, insulated wire, mesh, "evaporation slugs", and rods. 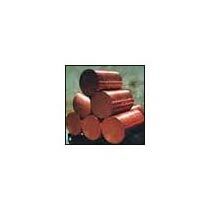 We are engaged in offering Copper CathodesÂ for our valued clients. The Copper Cathodes we offer are high grade cathodes with lowest level of various group elements and individual impurities. Copper Cathodes are available in LME Grade registered and non-registered types and we also offer off grade copper cathode. Procured from trusted vendors, we make available a wide variety of Copper rods for our valued clients. 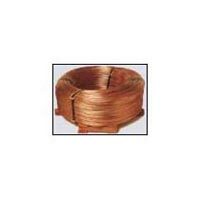 Our range of Copper rods is available in normal as well as high conductivity oxygen free copper rods allowing the drawing of fine wires. Our range of Copper Billets is available in various ETP, of Grade & Others. We further make them available at very moderate price for our valued clients. Our expertise also lies in offering high quality Copper Cakes of various ETP, of Grade & Others. 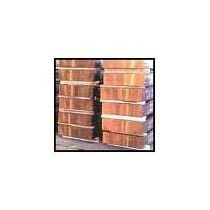 Clients can obtain Copper Cakes within an approved time frame at rock bottom prices.